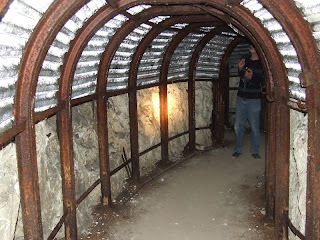 These two sets of tunnels were constructed during WW2. 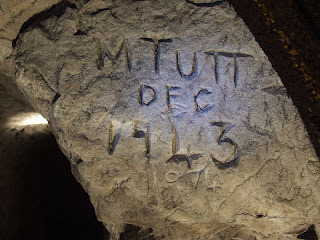 They appear to be satellite sites for the communication facility beneath Dover Castle. They are often referred to as 'DUMPY A' (Long Hill) and 'DUMPY B' (Langdon Hole). 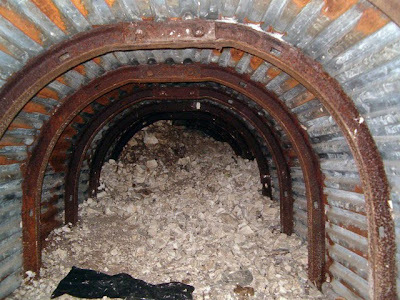 Both sets of tunnels have a similar construction of steel shuttering with iron girders for support, typical of military tunnels of this period, and consist of two long parallel tunnels connected at either end, each having two exits. 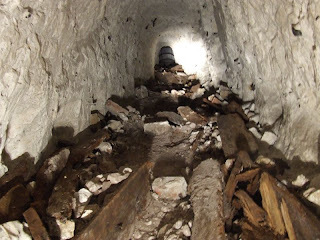 The main difference between the two sets of tunnels is that the Langdon ones have two inclined entrances, whereas the Long Hill tunnels are dug into the hillside, and the lower entrance is an adit in the lower part of the hill. 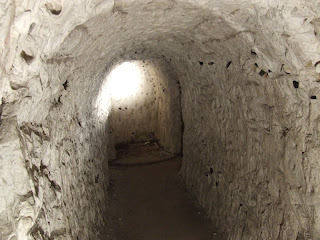 The Long Hill tunnels, located on a grassy down above Buckland, were open for many years but the entrance was covered with chalk in around 2001, when the hillside was landscaped and access is no longer possible. 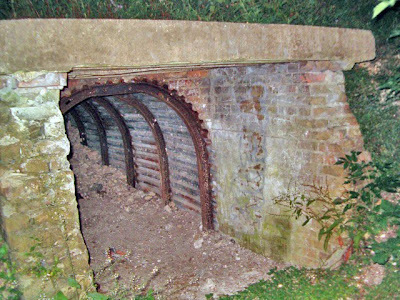 The Langdon Hole tunnels, in the rear of the natural dip in the landscape, known as 'Langdon Hole', on the cliffs between Dover and St. Margaret's, have suffered from being open to vandals throughout the 1970s, and much of the inner lining has been destroyed. 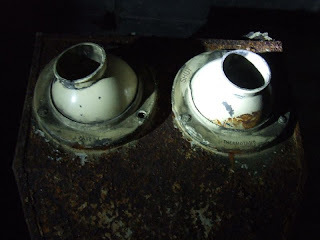 However, many interesting features, such as ventilation pipes and 1940s graffiti still remain. 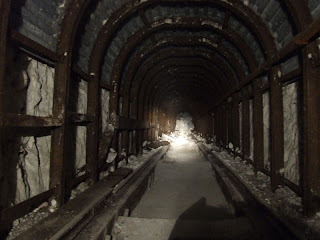 These tunnels are located on public land, but have had their entrances demolished to prevent access. When did you go? And when you went where was the entrance? Spastic...So sick of people always trying to find locations without putting the work in. 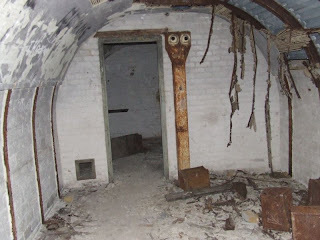 Learn some Urbex etiquette. If you're not the monkey brained kid you seem to be, you'll find it. I got lost in these when i was 11, you used to be able to walk in via the entrance, if you crouched, then the roof of the entrance collapsed in about 1994-5, so you had to basically crawl in on your belly via the hole in the roof. I wandered in, curious and terrified, turned a few corners and ended up losing my orientation, a dog walkers Jack Russel actually found me, couldn't have been more than about an hour of terrified screaming.